Tuesday just became your favourite weekday. 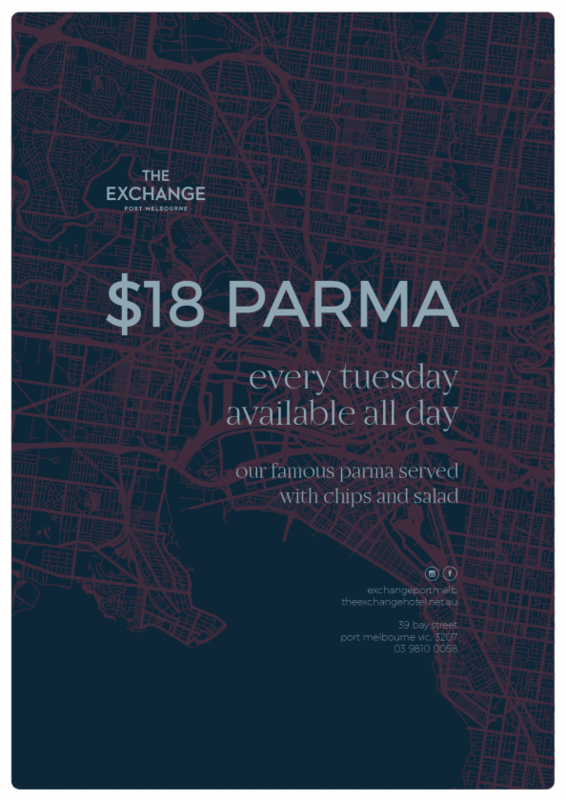 We’ve always taken pride in having one of Melbourne’s best Parmas and now you can pick one up for just $18. Available all day every Tuesday.